Trained by Louis Reed and Smokey Jones in the winter 1954. 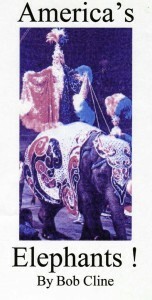 On Sept. 26, 1963, an elephant that was part of the King Shows and Circus rampaged through Lansing. Rajje, the elephant, was performing at a local shopping center when it became irritated and rebelled against its trainer. Rajje spent about 15 minutes rampaging through Arlan's Department store, causing thousands of dollars in damage, before leaving through a back exit. The police went on a two-mile chase through Lansing after the elephant, who tried to throw a car out of its way. Police eventually put down the 13-year-old, 3,000-pound elephant in a barrage of gunfire.